Posted: Friday, February 8, 2019. 3:15 pm CST. 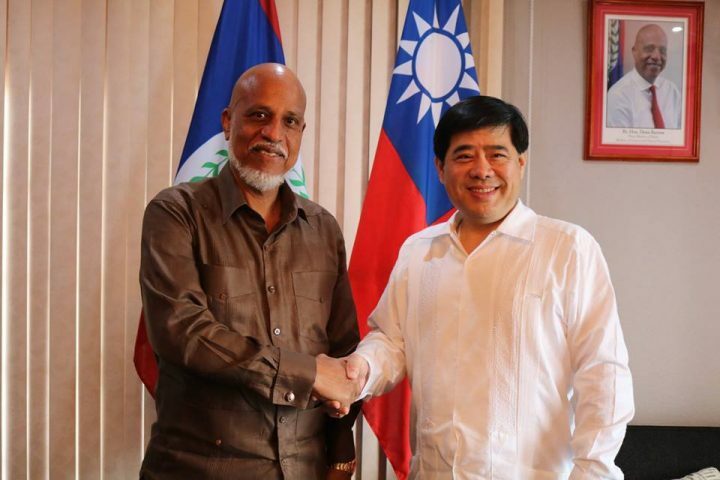 By BBN Staff: The Government of Belize, through the Ministry with responsibility for Investment, Trade and Commerce, along with the Belize Trade and Investment Development Service (BELTRAIDE), continues to strengthen bilateral relations with the Republic of China (Taiwan) through the facilitation of two (2) exchange investment missions between both countries. The objectives of the missions are to increase foreign direct Investment in priority industries that will contribute positively to Belize’s macroeconomic growth. The investment missions will provide opportunities for insights and strategic investments in key industries, through tailored meetings and site visits with key industry executives and decision makers in both the public and private sector, matching the needs and interests of the delegates. Transfer of skillsets and technology. Strengthen the bilateral relationship with Belize, while fostering new partnership opportunities. The Government of Belize says that it is committed to strengthening its efforts to increase interests in Belize as an investment destination, through regional integration and openness to trade and investment. The handing over ceremony for the exchange of investment missions will be held at the Belize Training & Employment Centre (BTEC) at 11:30 a.m. on Monday, February 11, 2019.